The educational needs and interest of society in technological fields are rapidly changing. Basic higher education is commonly not sufficient to meet educational needs in the field of remote sensing. The SPatial LITeracy (SPLIT) Summer School is an international and interactive event between universities, research institutions and private firms that considers state-of-the-art remote sensing technology, sophisticated and comprehensive modeling approaches, data analysis, and sophisticated software capabilities – all of which is incorporated in the framework of building a well-designed strategy to protect natural resources and public well-being. I am pleased to be welcoming you to SPLITRS 2016. I am the research and studies co-ordinator of the MSc program on “Geoinformation in Environmental Management” of the Mediterranean Agronomic Institute of Chania. My BSc is in Agricultural Science, while my MSc, PhD and research interests regard the use of GIS and remote sensing in environmental applications and vegetation monitoring. In particular land cover mapping, forest monitoring and precision agriculture are amongst my focused interests. The Mediterranean Agronomic Institute of Chania is part of the International Centre for Advanced Mediterranean Agronomic Studies, an intergovernmental organization aiming to provide postgraduate and specialized education to the people around the Mediterranean Sea and promote collaboration on agriculture, food, fishery and rural territories development. Our postgraduate course is focusing on introducing the tools of geoinformation on environmental applications and allowing our graduates to take home this knowledge and apply it for the development of their countries. We are thrilled at the prospect of hosting SPLITRS 2016 and having the opportunity to achieve our mission objectives to a global audience. Our main goal is for the SPLITRS participants to meet their learning expectations. Feel free to contact us with any questions. We are looking forward to meeting you in Chania. Dr. JING M. CHEN is a Professor in the Department of Geography and Planning at the University of Toronto, Canada Research Chair, and Fellow of the Royal Society of Canada. He holds B.Sc. in 1982 from the Nanjing Institute of Meteorology in China, and Ph.D. in 1986 from the Reading University in the United Kingdom. His major research interests include (1) remote sensing of vegetation structure, function and traits, and (2) quantifying carbon and water cycles of terrestrial ecosystems. He has published over 280 papers in refereed journals, which are cited over 11000 times in the scientific literature (Web of Science) with an H index of 54. He is currently an Editor-in-Chief of Remote Sensing of Environment and an Associate Editor of the Journal of Geophysical Research-Biogeosciences and the Canadian Journal of Remote Sensing. Dr. NEKTARIOS CHRYSOULAKIS is a Director of Research, at the Foundation for Research and Technology – Hellas (FORTH) in Heraklion, Greece. He holds a BSc in Physics, a MSc in Environmental Physics and PhD in Remote Sensing from the University of Athens. He has been involved in R&D projects funded from organizations such as the European Union, the European Space Agency and the Ministries of Environment, Development, Culture and Education. He has considerable experience in the area of Earth Observation and GIS. His main research interests include urban research, urban energy balance, natural and technological risk analysis, thermal infrared imagery and surface temperature studies, environmental monitoring and change detection. He is the coordinator of the H2020 project URBANFLUXES (http://urbanfluxes.eu). The main goal of this project is to prepare the ground for innovative exploitation of European space data in scientific activities and future and emerging applications by exploiting the improved data quality, coverage and revisit times of the Copernicus Sentinels data. URBANFLUXES, based on Sentinels observations, will reveal novel scientific insights, related to monitoring the anthropogenic heat flux in cities, at both local and regional scales, generating new satellite opportunities. He is also the Coordinator of the ERA.Net-RUS Plus project SEN4RUS (http://sen4rus.eu), aiming at developing indicators that effectively and efficiently exploit the information content provided by Copernicus Sentinels mass data streams in support of city and regional planning in Russia. 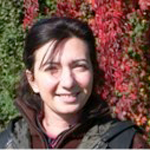 Dr. Chrysoulakis was the Coordinator of the FP7 projects BRIDGE (http://www.bridge-fp7.eu), dealing with Urban Metabolism and GEOURBAN (http://geourban-fp7-eranet.com), dealing with the development and on-line evaluation of satellite-based indicators for urban planning and management. He also participates in the H2020 project ECOPOTENTIAL (http://www.ecopotential-project.eu) with mail goal to create a new unified framework for ecosystem studies and management of protected areas; and in the LIFE+ project FLIRE (http://www.flire.eu), focuses on the development of an integrated Decision Support System for both flash floods and forest fires risk assessment and management. He has more than 180 publications in per-review journals and conference proceeding. Link to full CV: http://works.bepress.com/chrysoulakis/. Dr. SUSAN USTIN received a B.S. and M.A. in Biological Science at California State University Hayward in 1974 and 1978, respectively, and a Ph.D. in Botany from the University of California Davis in 1983. She is a Professor in the Department of Land, Air, and Water Resources at the University of California Davis and Director of the Center for Spatial Technologies and Remote Sensing (CSTARS). She has published nearly 300 research papers in journals and scientific proceedings. Her research interests include applications of imaging spectroscopy, quantifying and mapping physiologically active canopy biochemical using airborne and satellite instruments. She is currently a member of NASA’s MODIS and HyspIRI science teams. She is the recipient of several awards including an Honorary Doctorate from University of Zurich in 2010, Fellow, the Remote Sensing Society in 2004, Outstanding Service, American Society of Photogrammetry and Remote Sensing in 2004. 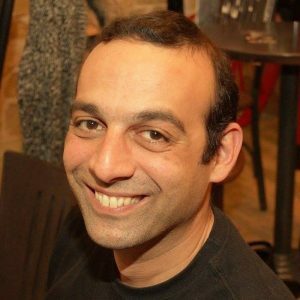 Dr. IOANNIS GITAS is an Associate Professor at the Lab of Forest Management and Remote Sensing, Aristotle University of Thessaloniki, Greece and an elected fellow of the Cambridge Philosophical Society. His research has focused on remote sensing and GIS applications in environmental monitoring, with emphasis on forest fire management and land cover/land use mapping and change detection. He has been involved in various national and international projects and has long experience working as a consultant in GIS/RS issues for national and international organisations, as well as for the industry. Also, he has served as project proposal reviewer for a number of national and international research organisations. Dr. Gitas received his PhD and M.Phil. degrees in GIS and Remote Sensing from the Department of Geography, Cambridge University U.K., and a B.Sc. degree in Forestry and Natural Environment from the Aristotle University of Thessaloniki, Greece. He is an Associate Editor of Remote Sensing and has edited special issues for a number of high impact factor journals. In addition, he has a good experience in organising international workshops and conferences. Ioannis is currently the Chair of the Special Interest Group on Forest Fires of the European Association of Remote Sensing Laboratories (EARSeL – FFSIG), the FAO Forest Resources Assessment – Remote Sensing Survey contact point for Greece, and a member of the GOFC-GOLD Fire Implementation Team. GEOSENSE (Vassilis Polychronos) was founded in 2002 aiming to become one of the major and leading technology providers in the area of Geographic Information Systems (GIS), Global Positioning Systems (GPS/GNSS), GIS Data, Geodetic Applications but also applications and solutions in Geoinformatics. Via a network of experienced partners, consultants and specialized scientists, has become one of the major players in Greek market of UAV/UAS, Unmanned Remote Operated Vehicles, Close Mapping and Inspection Systems, Mobile Mapping Systems, SAR Drones, Thermal Mapping, Laser Scanning, GPS/GNSS, Survey Equipment, special GIS & CAD Software Application Developer, special IT hardware like wide format scanners and plotters. It also provides specialized services and support in Surveying, SAR operations, GIS, GPS, Telematics, Fleet Management and LBS. Furthermore, GEOSENSE provides technical support and consulting services in studies related with its activity. GEOSENSE is based in Thessaloniki, GREECE and is accommodated in a space of 120sq.m. The human potential of the company consists of 6 persons with deep knowledge of the object, having postgraduate titles of study and multiannual experience, as well as from 4 special collaborators in the fields of Planning, Telematics, GIS and Geoinformatics. Moreover, the company has contracted collaborations with Greek and foreign companies for the completion of the range of its products. Currently, via its connecting companies apart from Greece, it operates in Cyprus, F.Y.R.O.M., and Bulgaria. GEOSENSE is certified and applies system of guarantee of quality according to model ELOT EN ISO 9001:2008.GEOSENSE can be reached at www.geosense.gr and also operates a specialized e-shop at www.madcow.gr. INFOREST RESEARCH (MAROULIO CHANIOTI), Authorized Harris-SPACE AND INTELLIGENCE SYSTEMS, started as a project, back in 1999, for delivering software for forest mensuration and forest inventory data collection and analysis. As a business unit INFOREST was founded in 2003 aiming in delivering information technology for earth sciences. Geospatial imagery acquisition and analysis, reselling of geospatial software from HARRIS (http://harris.com/) and TRIMBLE, and customization, services, consulting and training in passive and active remote sensing techniques and geoinformatics are core components of its business. INFOREST RESEARCH O.C. is based in Athens, Greece and is accommodated in its own premises comprising of 125 sq.m (offices, training rooms, server rooms). A network of highly skillful personnel with relevant academic qualifications, patience and passion, brought the company to existence, shaped it’s fifteen year course, and guarantee. For more information see: www.inforest.gr. Dr. OLGA SYKIOTI – Institute for Space Applications and Remote Sensing, National Observatory of Athens, obtained her BSc in Geology from the University of Athens in 1988. She obtained her MSc in Remote Sensing (1990), MSc in Hydrology, Geostatistics and Geochemistry (1991) and her PhD in Geosciences and Remote Sensing (December 1994) from Pierre & Marie Curie University (Paris, France). From 1995 to 2000 she worked in as image processing and photogrammetry specialist in the private sector and in parallel as postdoctoral researcher at the National Observatory of Athens (1999-2000). In 2001 she started working as scientific staff till 2006, when she was elected Assistant Researcher in the former Institute for Space Applications and Remote Sensing of NOA. Since 2011, she works as Associate Researcher at the Institute for Astronomy, Astrophysics, Space Applications and Remote Sensing of the National Observatory of Athens (IAASARS/NOA). Her research interests are Remote Sensing applications in the terrestrial and marine environment with emphasis in hyperspectral imaging, including reflectance spectroscopy processing techniques and methods, mineral mapping, land cover/land use mapping, monitoring natural ecosystems and ocean color studies. Moreover, Nubigroup is the official reseller of GIS Cloud software for Greece and Cyprus. GIS Cloud (www.giscloud.com) offers a cloud-based platform with different applications for managing geospatial data. GIS Cloud platform is based on the fastest map engine in the market and provides solutions for data editing, collection, sharing and publishing with a special focus on collaboration features (http://www.giscloud.com/products/). The people of Nubigroup have a great experience in Geoinformatics as well as in public works studies and they believe that the integration of cloud computing in the field of geo – services brings a new potential of being used by non-experts and provide simple solutions for all. 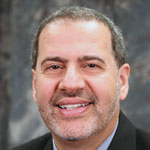 Dr. NICOLAS H. YOUNAN is currently the Department Head and James Worth Bagley Chair of Electrical and Computer Engineering at Mississippi State University. He received the B.S. and M.S. degrees from Mississippi State University, in 1982 and 1984, respectively, and the Ph.D. degree from Ohio University in 1988. Dr. Younan’s research interests include signal processing and pattern recognition. 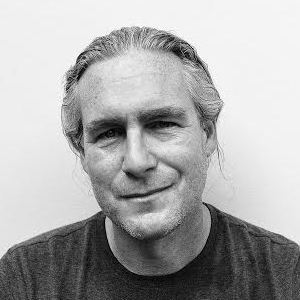 He has been involved in the development of advanced image processing and pattern recognition algorithms for remote sensing applications, image/data fusion, feature extraction and classification, automatic target recognition/identification, and image information/data mining. Dr. Younan has published over 200 papers in refereed journals and conference proceedings, and book chapters. He has served as the General Chair and Editor for the 4th IASTED International Conference on Signal and Image Processing, Co-Editor for the 3rd International Workshop on the Analysis of Multi-Temporal Remote Sensing Images, Guest Editor, Pattern Recognition Letters, and JSTARS, and Co-Chair, Workshop on Pattern Recognition for Remote sensing (2008-2010). He is a senior member of IEEE and a member of the IEEE Geoscience and Remote Sensing society, serving on two technical committees: Image Analysis and Data Fusion, and Earth Science Informatics (previously Data Archive and Distribution). He also served as the Vice Chair of the International Association on Pattern Recognition (IAPR) Technical Committee 7 on Remote Sensing (2008-2010), and Executive Committee Member of the International Conference on High Voltage Engineering and Applications (2010-2014). SPECTRAL EVOLUTION specializes in the design and manufacture of state-of-the-art full range UV- VIS-NIR spectrometers for lab, industrial and field portable use. Spectral Evolution systems feature both InGaAs and Si photodiode arrays integrated into one lightweight, compact spectrometer package eliminating the hassle of integrating multiple boxes to cover 350-2500nm full spectrum measurements. Spectral Evolutio only use photodiode arrays and fixed grating systems to avoid the use of light-robbing fiber optics within our instruments. This increases system sensitivity and overall reliability since there are no moving gratings to drift or malfunction. Spectral Evolution makes every effort to build systems that won’t break down during your mission critical work. The success of the company is based on the qualified staff with experience of at least 15 years working in the same market, the availability and use of good customer’s database of Greek Market. In a small Market like Greece, “Good Relationship” is a key for a sale. GSH is a legal e-GEOS representative authorized in Greece and Cyprus to handle all e-GEOS satellite imagery products. The company is: Member of the Hellenic Association of Space Industries, of the si-Cluster (the unique space cluster in Greece), of the HellasGIs Committee, of the Hellenic Photogrammetrical & RS Committee and the Technical and Geotechnical Greek Chamber. GSH has already participated in several projects aimed at monitoring and impact determination in the natural environment of various activities. These acts have the aim of reverse and decrease the impact factors for the further purpose of environmental protection, sustainability and conservation. The experience gained through the projects renders GSH a company with a high level of technical competence and expertise in various fields such as conservation management planning areas, management and analysis of spatial ecological data, including the development of databases and GIS, and finally monitoring and evaluation of environmental impact factor through the processing of satellite data using photogrammetry software. GSH combining the know-how, human resources, IT infrastructure, the equipment, the experience in R&D field, is able to provide cost effective and timely solutions. GSH provides the customers with the solution that is best suited for them, which includes the product and all added-value services such as customization, support, training, and consulting. The strength lies in our experience and understanding of domain specific requirements. Our task is to complete the solving of customers’ problems.